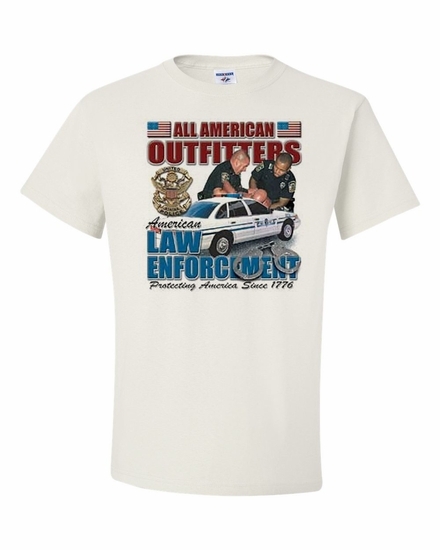 Our American Law Enforcement-Protecting America since 1776 t-shirts and sweatshirts come in great colors and styles. Show your appreciation for these brave men and women! Add a American Law Enforcement-Protecting America since 1776 coffee mug for a wonderful gift. Remember� you found the American Law Enforcement-Protecting America since 1776 Shirts at TShirtHub.com, where high quality came at a low price.